Most students have heard about situations in which the paternity of a child is questioned, but maternity? 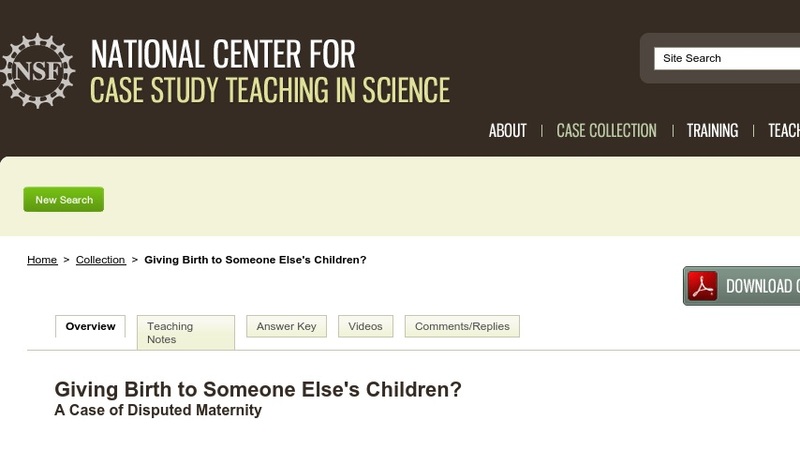 This case was designed for introductory biology students and asks them to develop hypotheses to explain how a mother cannot be genetically related to two of her three sons. Through an interrupted, progressive disclosure format, students reject hypotheses and form new ones as data is revealed. This case involves concepts in genetics, inheritance, and the formation of pedigrees. At the conclusion, students are asked to think about the moral, ethical, and legal implications of the mother’s rare condition.